On July 10th, 2015, Chef Dionicio Jimenez, who runs the kitchen at El Rey after working his way up through Vetri Ristorante before helming Xochitl for three years, realized a dream he first reached for in 1998–he became an American citizen. After years of building experience and obtaining skills in the restaurant industry in Mexico–and becoming a chef at age 20–he, like many undocumented workers, crossed the border in search of a better life. Here’s his story. Brion Shreffler: How did you get your start in restaurants? 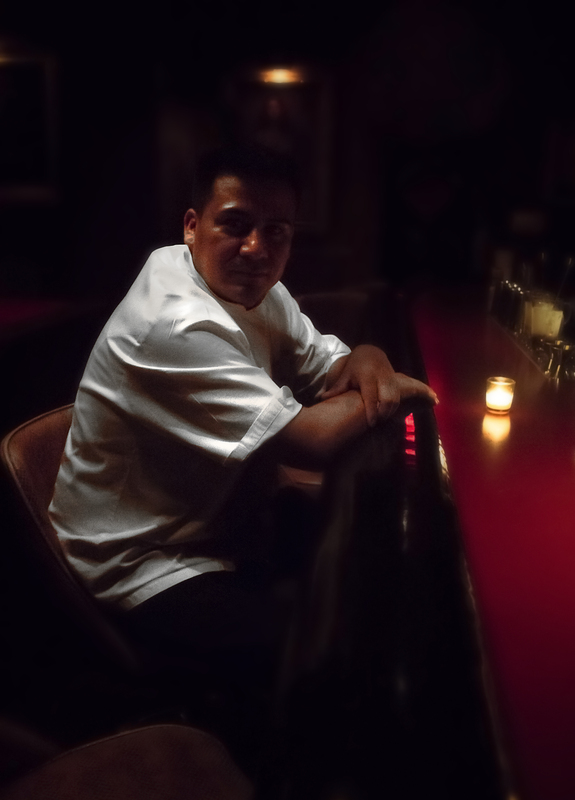 Dionicio Jimenez: I started working in restaurants when I was 14. It was in a steak house. When you say a steak house in Mexico, it’s more like an Argentinan steak house. I started from the bottom as a busser, a bar back. I was working with a big corporation where you have a lot of training. But I didn’t like it because it’s not like here. It’s the reverse. Front of house, you work open to close everyday. You work till two, three in the morning and you’re back at 9:30,10 o’clock doing doubles everyday. Here, it’s the other way around—the kitchen works those crazy hours. Then I met this really good chef, she says come work in the kitchen. I started washing dishes. I moved up step-by-step. When I came here, I was already chef there, at one of the steak houses. It was continental food, a little of everything. I was twenty when I got my first chef job. There’s still other people watching you. I liked it because my training was all over the place. I trained the whole aspect of the restaurant. Then I came here in ’98. You went right to Vetri? No. I went to Chin-Chin. Phillipe Chin. It was between 16th and 17th on Locust St. After George [Perrier], he was the owner of [of the space occupied now by] Vetri. At that point, it was Chanterelles. He moved to Atlanta after he closed the restaurant. Vetri opened in September of ’98. I started working with him in October shortly after I got here. Also, when I came, there was Phillippe Locust Club. Kiong Banh the chef at Twenty Manning was the chef there. That was my first kitchen job here—as a dishwasher. I stayed there till they closed—maybe a little into 2000. I was soon working at Vetri as well. Dionisio Jimenez at The Ranstead Room which is connected to El Rey via a short hallway. by Jacki Philleo. That’s something that seems to be very common in Philly and in the restaurant industry in general. Mexican immigrants, central American immigrants holding down shifts, if not nearly 2-3 full-time jobs at several places. Yeah, at that point when I came here, few people spoke Spanish in the restaurants. But now, everywhere, people speak Spanish. Then, there was nothing to do with your time. So I’d find another job. And early on, were you constantly sending money back home? Always, because when you come here, you never think to stay in the states. Whatever you make, you send it, send it. It gets to a point where—right now, I don’t do that because I have a family. What was South Philly’s Mexican community like back then compared to what it is now? It was really rare. You used to live in an apartment with like ten other people. You went to work. Go home. Stay there. Because, like I said, it wasn’t safe for everybody depending on where you lived. The neighborhood was a little dangerous. Yeah. You don’t know the language and don’t know anybody. And then we start playing soccer on Sundays. I think it’s [the field] is owned by a school. Down 7th St. A little park by where you get on 76. Past Oregon. They would do a carnival there. The league started getting bigger. There would be a lot of different people there. A lot of Americans. It wasn’t like now. You go out and see a friend. It was rare to see people [fellow Mexicans]. It was more like working, go home, lock your doors. It was hard to see other Mexican people outside of working. And Philly to the outsider can seem especially dangerous. How long did it take for you to be comfortable with the language? Awhile, because Vetri was the only one who spoke any Spanish. Marc, he tried. He helped me a lot with my English. I think everyone I met by that point tried to help me with the language, like Jeff Benjamin, people at the other restaurant where I was working. Everybody tried to teach me. You learn things here and there. From back of house and servers. Both places, I started as a dishwasher. At Phillipe’s, after a year, they gave one or two shifts prepping and then I moved onto being a linecook in the morning. Vetri, it was a little over a year that I moved onto salad station. Two months later, the guy from pasta [section] left and Marc helped me with that. Vetri is a very small kitchen. It’s very easy to see and learn from everything. I worked the pasta station up until I left in 2006. After 2006, I went to open Xochitl. I stayed there for three years. I’ve been here [El Rey] a little over 5 years.